Our new super pods have arrived! 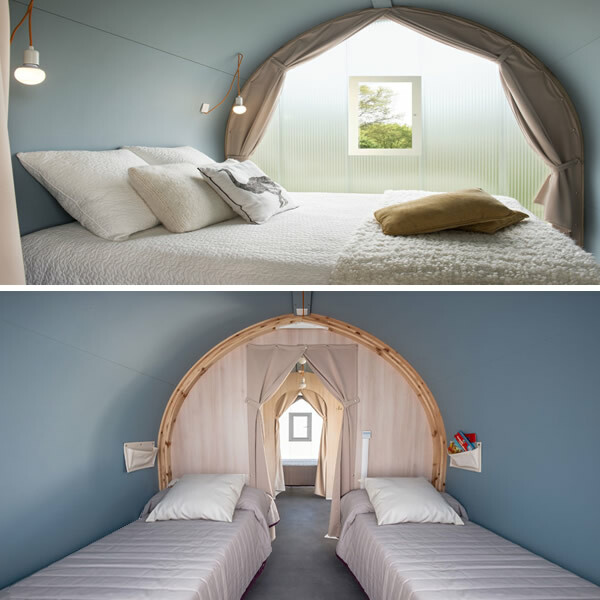 Super pods offer an excellent glamping experience for the family and provide a little more living space so they are ideal for a longer holiday. 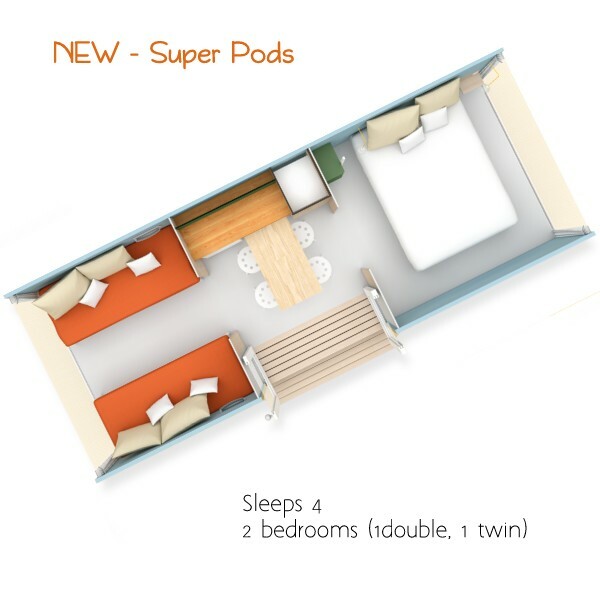 Super pods have a central kitchen area with fridge, microwave, pull out table and chairs Either side of the central area you will find a sleeping pod, one side has a double bed, the other side has single beds which convert to sofas, making a comfy seating area during the day. PLEASE NOTE: Super pods do not have their own toilet or washing facilities, you use the campsite toilet and shower block which is located nearby. Double bed 140 x 190cm size mattress. 2 couches that transform into two single 80 x 190 cm beds. You will need to bring sheets / duvets or sleeping bags / pillows. You will need to bring your own towels. You will also need to bring cooking stove/equipment/plates/cups and utensils. 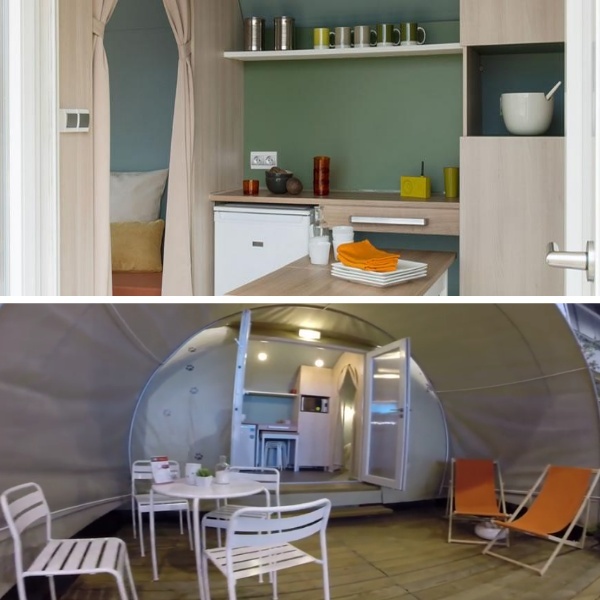 There is a small fridge and a microwave in your Super Pod but no cooker/hob. Wifi available on campsite (daily charge). Check-in and keys are available from 1pm onwards. Booking deposit of £20 is required at the time of booking, balance payable 4-6 weeks before your arrival date. A £10 cash Key deposit is required when you check in, this is returned when you check out and hand the key back at reception.